It’s inevitable, at some point all the hard work of putting up your Holiday decorations must come to an end. Rather you wait until the Epiphany or the day after Christmas to store your holiday decorations. 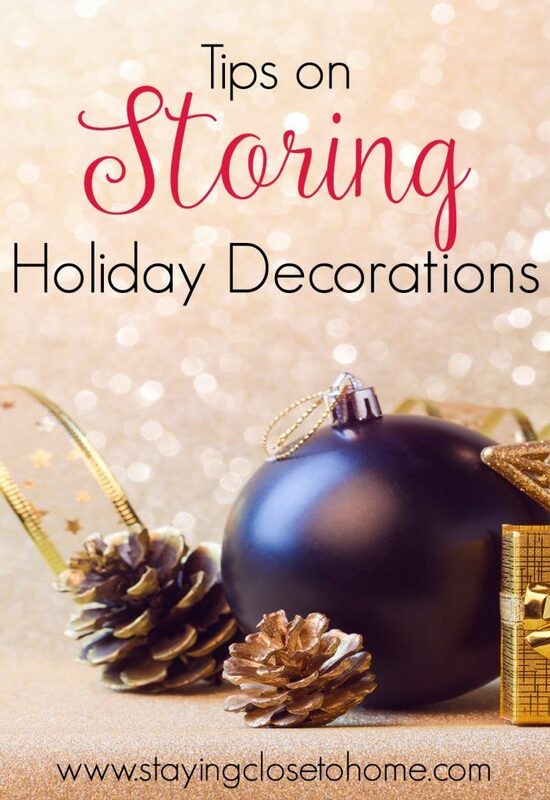 Putting away your ornaments and holiday decorations can be a tedious job but if you do it in an organized manner, it will be that much easier to take out your decorations next December. 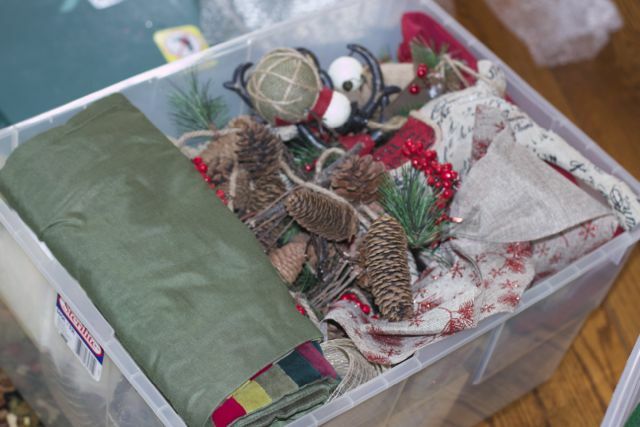 Here are our tips for storing Holiday Decorations. One of the most important decoration to take a little care when you put them away. 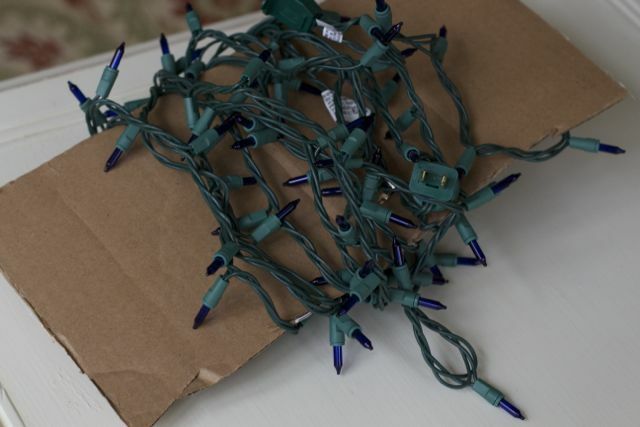 Keep some extra cardboard from holiday gifts to wrap the individual strands around. Dedicate one box for lights, one for inflatables etc. 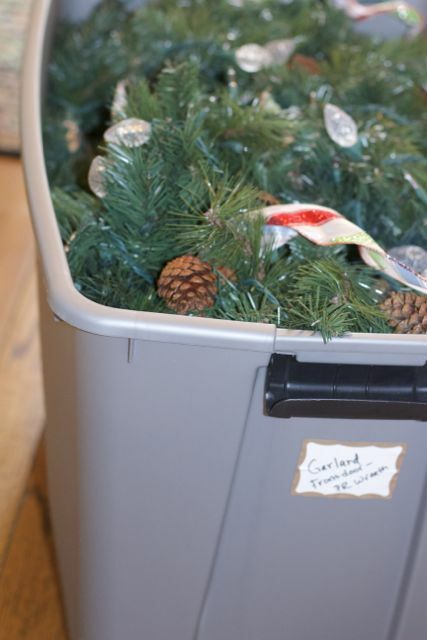 Garland: Since artificial garland can be pretty messy, I dedicate one storage bin just for garland. Room Specific Decorations: If you decorate certain rooms extensively, consider putting all the decorations for one room into one box. If you are like me I sometimes forget how I placed items. You can also take a photo if you have an arrangement of decorations you particularly like that year. I dedicated this box to the new Woodland Inspired Dining Room Holiday Decor . Ornaments: Most home stores sell a variety of different ornament storage options. If you don’t have many ornaments, you can place some in used egg cartons. 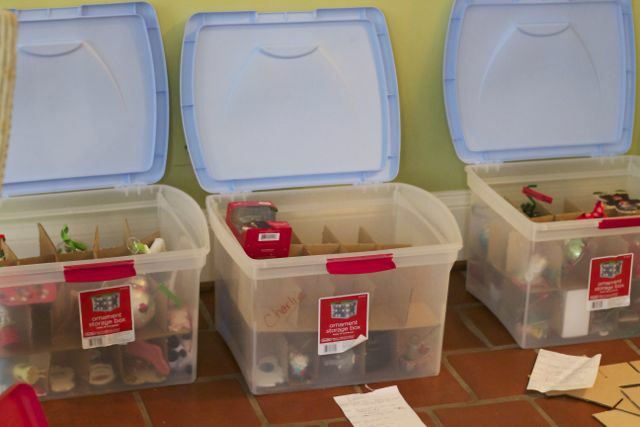 Individual Ornament boxes for kids/ grand kids. We give ornaments to our kids each year and to keep them organized for them to take when they move out. (Whenever that might be) I have a dedicated ornament box for each child. I keep a list of ornaments and the year they were given in the box so there is not a question when we are putting the ornaments away. Wreaths: If you don’t want to put them in the plastic bins for wreaths or buy wreath storage bags, simply place wreaths in a garbage bag and hang on a large hook in an attic/ garage. Battery operated decorations: be sure to take batteries out of any decorations each year. Especially if you store them in an attic with extreme temperature changes. 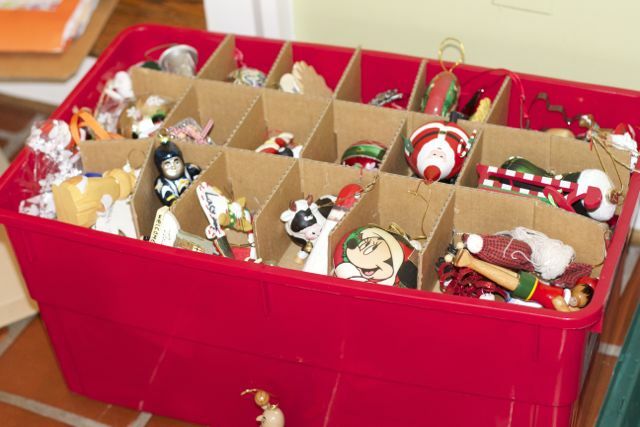 What tips do you have for storing Holiday Decorations? Woah! Ok the egg carton/ ornament storage idea is brilliant. I just wrap mine up in plastic baggies then put them in a big garbage bag. Your ideas are much more organized. Definitely going to do this next year! We do the same thing with our lights and rom specific decorations. What a nice idea to but ornaments for your kids every year! I love the individual ornament holders. We use those. It keeps them perfect when in storage. We are planning to take down our Christmas stuff on Sunday. Hate that part!